Acrylics over wasted wood found on the shore of Åland / Finland. The exhibition Hem Ljuva Hem was produced Troito in his stay at Eckerö Post & Customs as resident artist in May 2015. 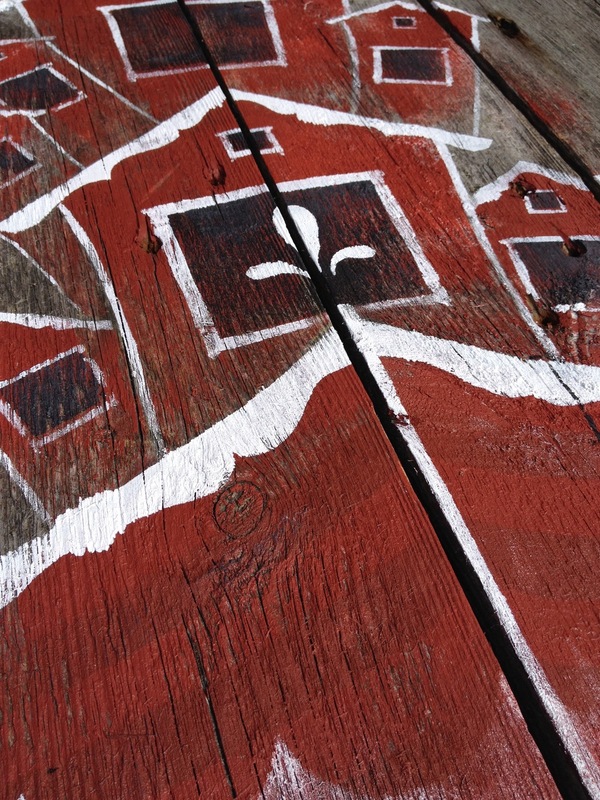 “I decided to recycle wood piece I found around the Åland’s island and to transform them into pieces of art. The archipelago in between Baltic Sea and Gulf Bothnia beacame a place with great inspiration.. Like a puzzle I joined wasted wood pieces and painted elements such as fishers houses over boats, Deers, cups of coffee, lighthouses… I used Röd Mylla color, typical from the region, over boards of wood rich on texture.” Art and Åland transformed Troitiño’s brief stay into a transitory Home Sweet Home (Hem Ljuva Hem in Sweeden).